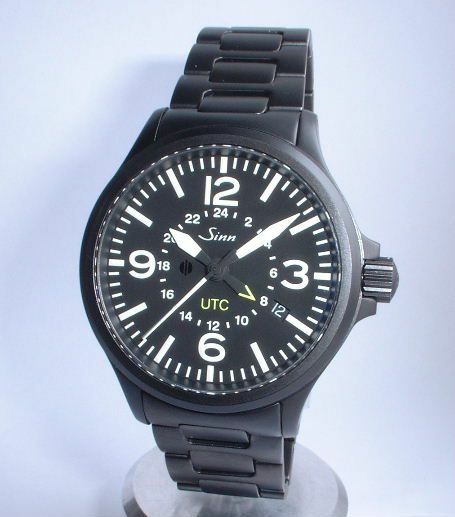 Sinn Flieger 856 Automatic Wristwatch. Just like the 656, and the 756, it is rare today do you see designs appearing that are totally unique and instantly recognisable. This watch has it all. 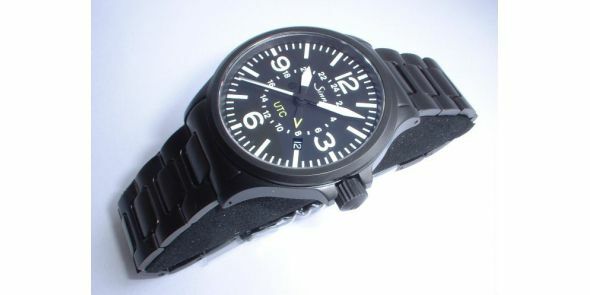 A simple design, with 4 large prime hour numbers, jet black with white markings and hands gloving maximum visibility and clarity. 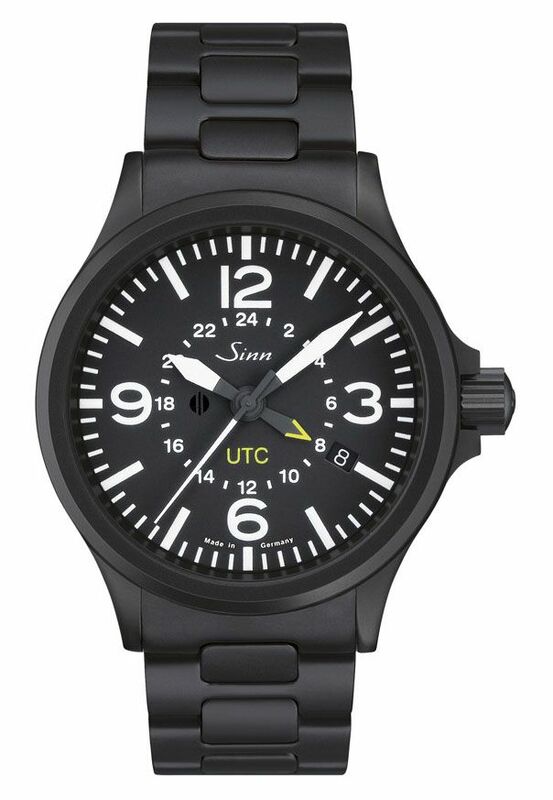 The Sinn 856 uses the same "Tegiment" technology as the Sinn 756 model. This is the process where the ice-hardened outer layer of special anti-corrosive stainless steel is hardened to 1,200 Vickers which is four times harder than nickeliferous high grade stainless steel used in other high quality stainless steel watches. This steel process is rarely found in watches, but is more often found in surgical instruments, and aerospace and aviation. The black model, is sandblasted and black tegiment coated to create the mat black clean looking and very striking appearance. 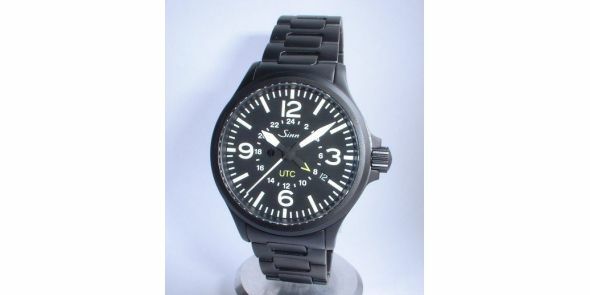 The design is based on an aircraft clock. 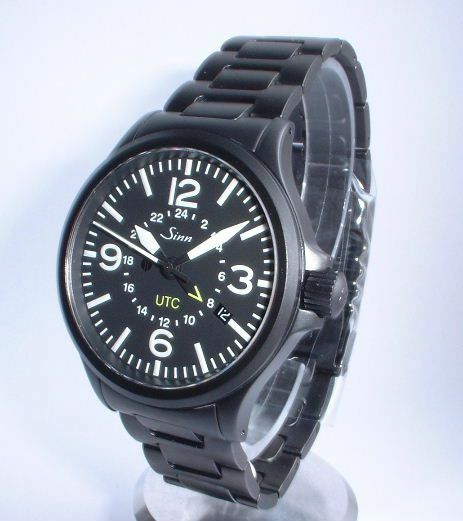 As well as being a lovely practical looking watch, it is highly functional and is extremely resistant to magnetic interference, and has a strong well finished crystal and case. There is a small date window between the 4 and 5 hour markings. 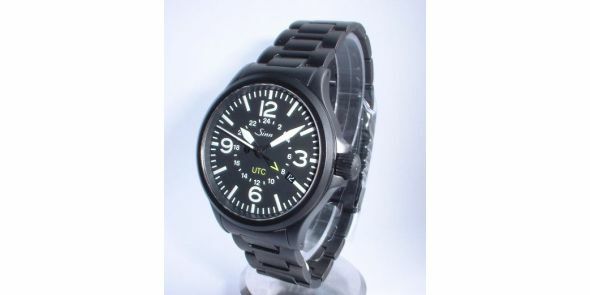 It is small so not to interfere with the numeric symmetry of this beautifully designed watch. 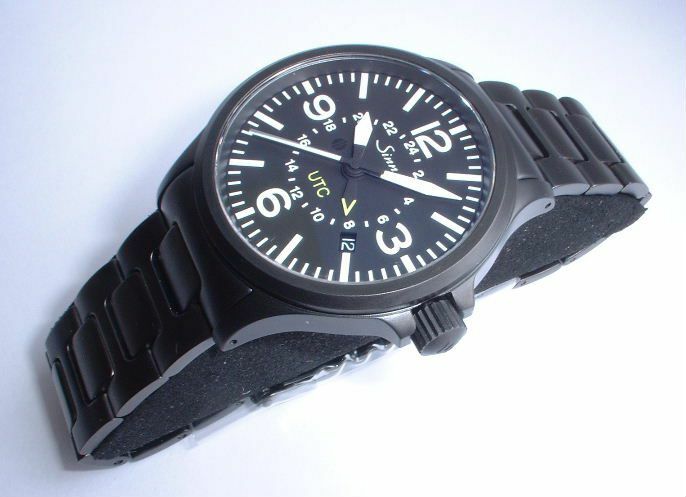 Sandblasted stainless steel case and bracelet. A true future classic and the watch that everybody is talking about. The watch features a Swiss made automatic Seletta movement, screw down crown and case back, 10 ATM water resistance, high quality stitched leather strap and signed buckle, hack seconds, sapphire crystal, presentation box. The 856 UTC is almost the same as the 656 in most respects, just incorporating the UTC dual time movement. 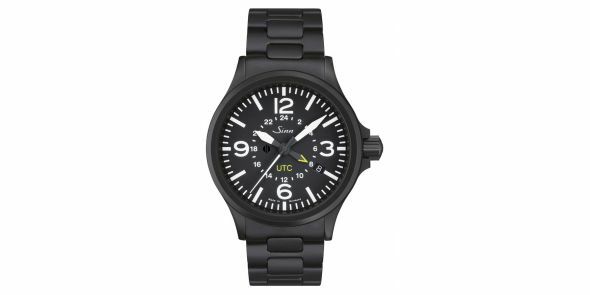 The UTC hand is a dual time indicator and is independently set of the main hands and points to a second time zone. Width is 40 mm at widest excluding crown and 43 mm including crown, lug to lug is 45 mm, thickness is 11.5 mm.